2010 July « THE BRYCE IS RIGHT! 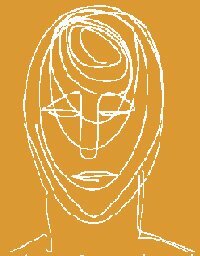 JULY 6, 2010 – Today I release my new eBook, “Tin Heads.” Unlike my editorials and management papers, “Tin Heads,” is a work of fiction. The chapters are much longer than my other papers but this will be a fun read which I hope you will find entertaining. 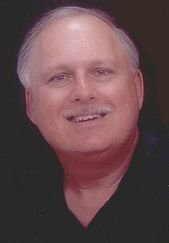 The Tin Head concept as described herein came to me several years ago after making one too many business trips. Air transportation had transformed itself from being a fun and exciting experience to an expensive and laborious proposition. I don’t think anyone relishes the idea of traveling by airplane anymore. You’re prodded through long security lines like cattle, strip searched by people who do not speak your language, squeezed into uncomfortable seats, flights are seldom on time, the meals are horrible, and you’re nickel/dimed to death by the airlines. Regardless what class you’re traveling, passengers are treated like galley slaves. I can hear the sound of the monotonous drum beat now: boom-boom-boom-boom… Best of all, you get to pay exorbitant prices for this privilege. People no longer enjoy the adventure of travel and consider it a colossal waste of time. They would much rather be at their destination performing their chosen activity, be it business or pleasure. It occurred to me there has to be a better way for people to meet and discuss business. Teleconferencing is nice, but it lacks the personal touch. People tend to lose interest quickly if you are not physically present in the room with them. Technologists typically believe in exotic solutions which tend to be complicated and impractical to implement. I tend to be more pragmatic; automate as much as is practical to do, but leave the complicated portion to the human being. This is the premise behind today’s aerial drones used by the military and deep-sea drones used in marine research, cheaper and more practical solutions for exploration. If we can create drones for the air and sea, why not devise a land based solution for simpler applications, such as to conduct business at remote locations? Frankly, the Tin Head concept is a viable solution for communications, maybe not in its robust form as described within these pages, but a simpler version could easily be assembled and deployed. Such a device could have a profound effect on our culture socially and economically. It could revolutionize business, reduce our dependency on foreign oil, and greatly improve interpersonal relations. Not only is it possible for the Tin Head concept to occur, it is highly probable we will see something like this emerge within this decade. Tim Bryce is a man of limitless energy, and with that energy comes a limitless vision. In the body of work collected herein, his “Tin Heads” vision takes shape in a way that seems absurd at first, but as we progress through the pages, absurdity gives way to a reality waiting for us right around the corner. The truth becomes stranger than the fiction. Let me take a few steps back. The concept of Tin Heads isn’t too far fetched. Anyone with a finger in the material culture has had a chance to see how robots can intersect with our daily lives. Whether it’s the friendly companion Robot from “Lost in Space,” the Roomba robot vacuum, or the extreme where robots take over mankind as in the “Matrix” trilogy of films. Robots are a part of our collective conscious in some way or another. The idea of a robot companion isn’t such a stretch of the imagination, and likely has already intersected with your life in several places today without you even knowing it. Every form of automation employs some degree of robotics to facilitate its process. Robots assemble cars, robots traverse distant planets, and work to avert disasters in the depths of the Gulf. Robots are fast becoming a part of our daily lives, and behind those robots are operators and programmers to command them to do what they want. In short, they go where we want them to go making them our proxy to do what we cannot. So, as the world becomes progressively more complex, why not a robot to navigate by proxy through it? It’s a bit of a stretch to imagine one day we will step out from our “reality” into a machine that connects us to a virtual one, but only so virtual as the monitor, controls, and artificial sensors allow us. One part proxy, one part surrogate, all “you” in the flesh, virtually wherever you choose to be transported to (franchise permitting). Robots, like computers, give us a complex set of tools to do more than ever, even to replace an aspect of our being or to make ourselves virtually anew. It’s quite a concept and Tin Heads takes us full circle – out past the realm of the fantastic and back to a present reality of just what this technology can do for us as our proxy. But more so, to look at the ways in which we humanize with it going from a passive user to it becoming an extension of our self, a cocoon of sorts from the external reality that our previous self was either too frail to move around in, too lost in our work to escape from, or too absorbed in our limitations to realize our potential without new technology. 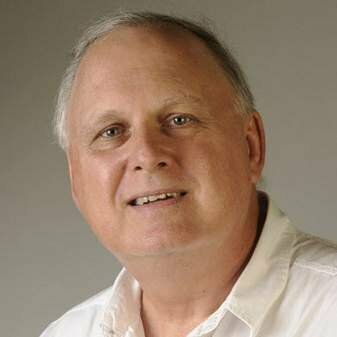 Building from a base of mankind’s relationship with computers, the steady escalation of personalized devices and technology can only lead us towards a reality in which these proxies become a reality. Not the pinnacle, but the next step in our use (and abuse) of evolutionary technology. Tin Heads is not just glimpses into how robots make our lives better but how they connect us to the things that matter most, and thereby provides us with a glimpse of our own humanity. Because it is woven so tightly into the story, the very human complexity that we all have around us, Tin Heads isn’t so much about the robot but about the way we make use of it in the telling of our own lives. What evolves in these narratives are the very real human stories, every bit as engrossing as the science fiction genre that they come from but with a warm beating human heart at its robotic center. The beauty of Tim’s vision in Tin Heads is the ability to make cold robotics relatable on a human level. As artificial as these machines may seem to be, they offer the ability to extend ourselves as human-beings; a product of vision, and very much a component of our daily lives whether we know it or not. Tin Heads tells the story that we create every day by our very existence only through the cold electronic eye of our proxy, which in the end is every bit as human as the operator. Truth, stranger than fiction, is still very moving. No matter the means of locomotion, robotic or human, Tim’s vision of this imaginary future is a very real peek of what lies ahead – right around the corner of our collective vision. Click for free PREVIEW EDITION (PDF format). Click HERE to learn more about the eBook and to order a copy. 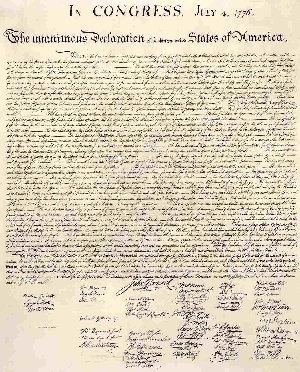 We’re going to be celebrating Independence Day again this weekend and to commemorate the event, I went back and reread the Declaration of Independence. I first read it when I was in elementary school in Connecticut, along with the U.S. Constitution. However, due to the convoluted political times we now live in, I thought it might be wise to revisit this important American landmark. Happy Birthday America; 234 years young! 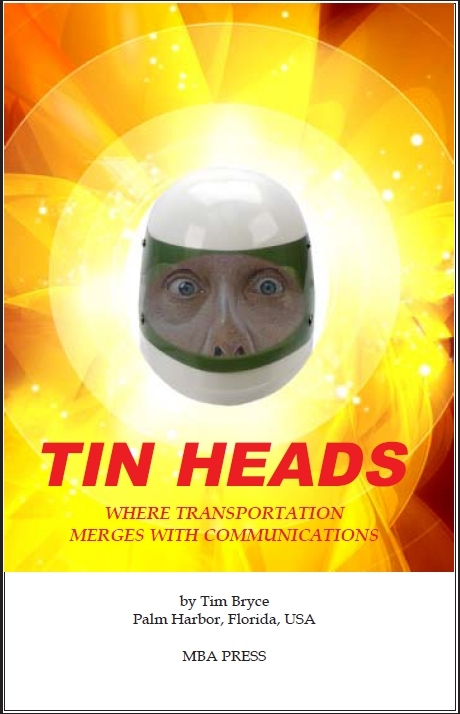 COMING NEXT TIME: “Tin Heads” – where transportation merges with communications. What is Bryce up to now?